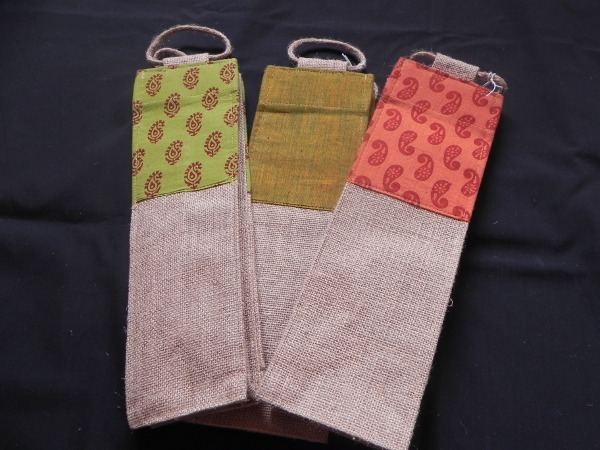 This set of 3 hessian based wine bottle bags make a lovely way of presenting a bottle of wine as a gift and makes a more ecological choice of gift wrap as these sturdy bottle bags can be used and re-used time and time again. All the bags are hand made by our lovely friends at the NGO Chhoti Si Asha. Please note: Fabric patterns and colours do vary.